Why gab on-the-air about The Kardashians for the zillionth time when you can birth a baby? 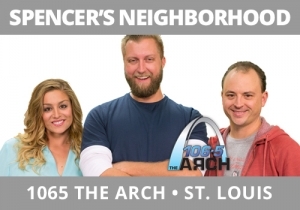 Brando and his wife, from Spencer’s Neighborhood, 106.5 The Arch, St. Louis, were about to have another child. The absolute best radio you can do is something no one else would think about. Brando and his wife consented to the baby being born live on the show. Imagine as you listen to this audio what every listener is doing. Especially women. They’re leaning in, listening, like they’re there. This one break, as expected, was clicked and shared way more than the others on the station website, even getting exposure from other websites because of how emotional and unique it was. This is excellent radio because it’s emotive, one-of-a-kind, highly sticky, and defines both the cast member central to it and the humanity of the program.